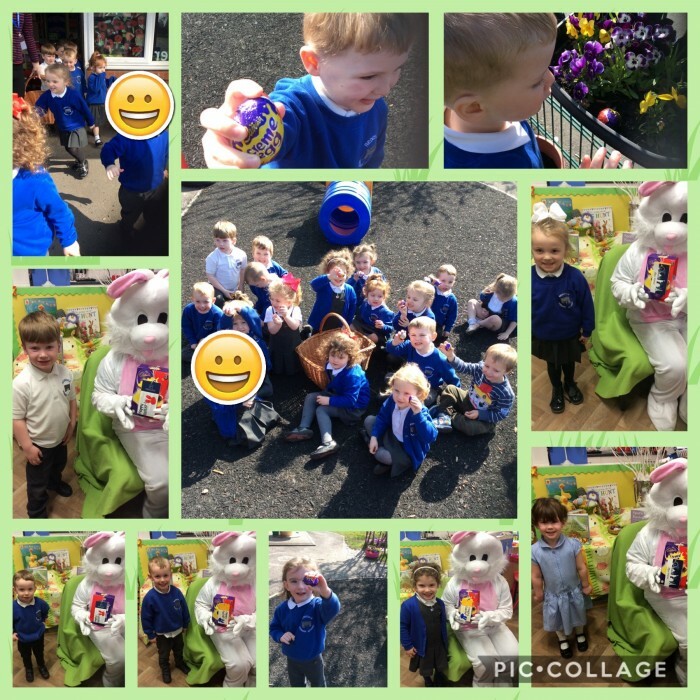 Redesdale Primary School » The Easter bunny visits Nursery! We had a very special guest today…the Easter Bunny! The children were very excited to meet the Easter bunny who, very generously, gave them each an egg. 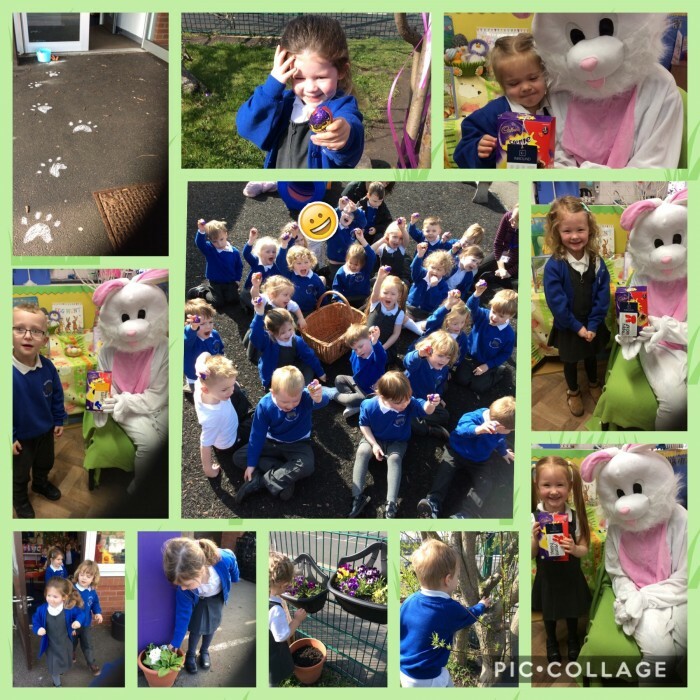 We also had an Easter egg hunt in our garden!